Directions: Travel 0.1 mile west of Hwy 199 from Gasquet. Turn right at Middle Fork Rd. Continue right at intersection with Gasquet Flat Rd. Cross the bridge and stay left past Azalea Land (North Fork Rd). Stay left at Gasquet Toll Rd intersection and continue 0.8 mile to Stony Creek Trail sign. Turn right at sign. Trailhead is on the right 0.1 mile from the corner. Two parking spaces are located just before the trailhead. The trailhead is in a residential area, please follow signs and respect private property. Short, sweet, and filled with delights in any season would be three ways to describe this little trail that starts on the north side of the town of Gasquet. 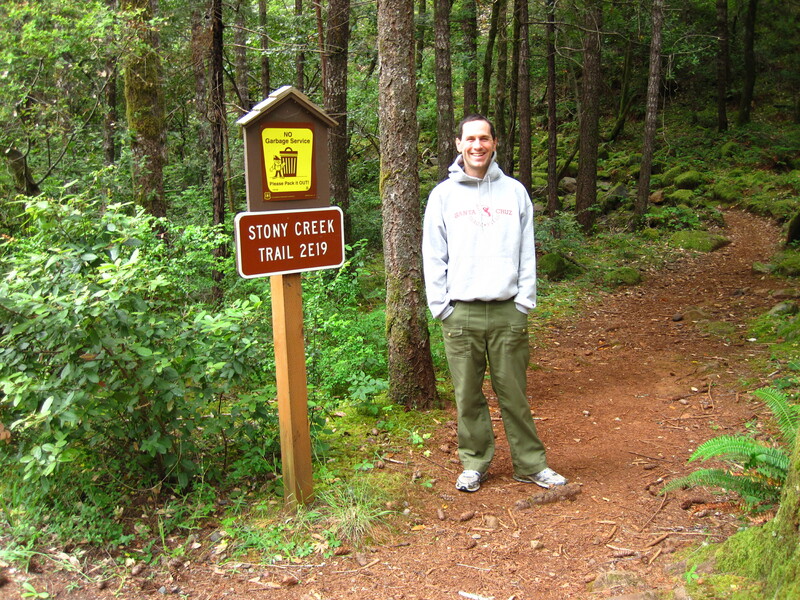 The Stoney Creek Trailhead is located on a residential street under a quiet canopy of green. In spring it curves gently past some of the most interesting and frangrant plant life that the North Fork of the Smith River has to offer. Western Azalea, Lady Slipper Orchids, Blooming Darlingtonia, and Labrador Tea are some of the treasures found along the path. This shaded trail parallels the North Fork of the Smith River and ends at the Stony Creek confluence. 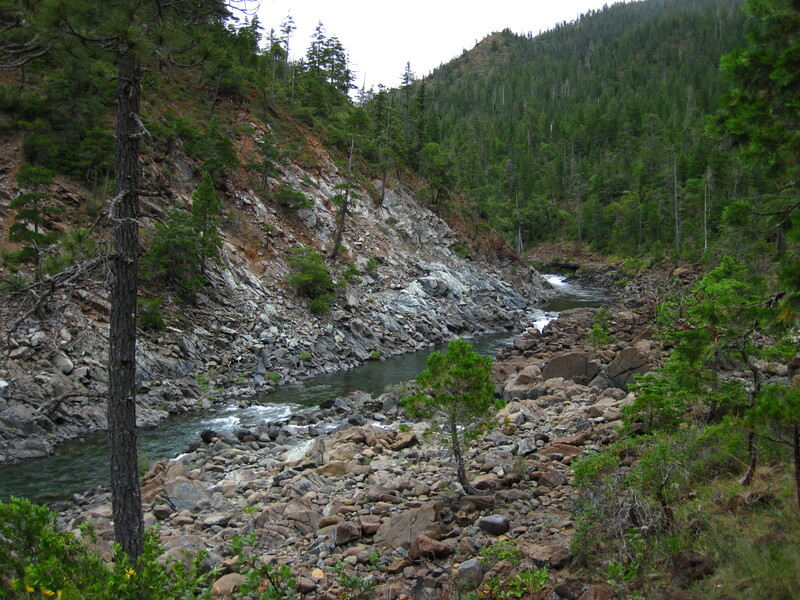 The trail provides access to excellent fishing holes and views of the North Fork River Canyon.